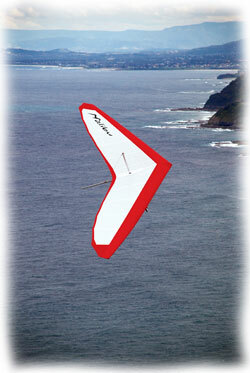 So I just ordered a new hangglider, the new Moyes Malibu. I bought it to see if I like to have two gliders, the Malibu is just for pure fun flying when I do not need the performance of the Litespeed RS. If I do not fly it much I can always sell it without much loss. The market here needs more gliders like the Malibu, Fun, and Falcon, so that beginners can get a modern and easy glider after learning to fly. I think these are the same colours as I ordered, looks cool with the “inlaid” design.